Boscombe is an ambiguous suburb, tarnished with a bad reputation for its crime and housing problems, but also an area oozing in cool and creativity. 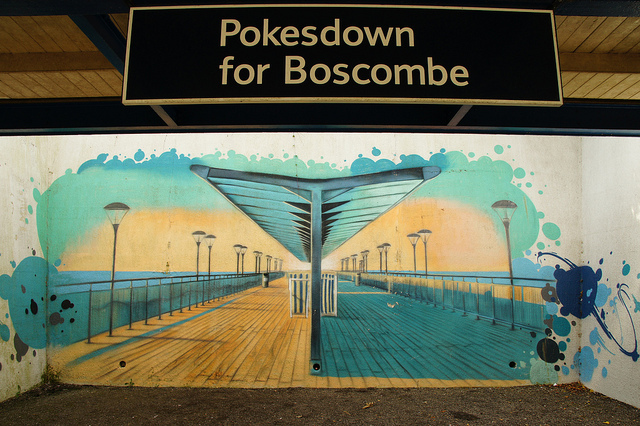 From the murals of Pokesdown station to the quiet pier standing in the Channel, Boscombe is a suburb unlike many others. Slick-dressed students listening to the latest house mix are coupled with rough sleepers; and while flurries of fashionistas flock to the The Royal Arcade’s Vintage Market, sunken-eyed folk stumble the street from the night before last. 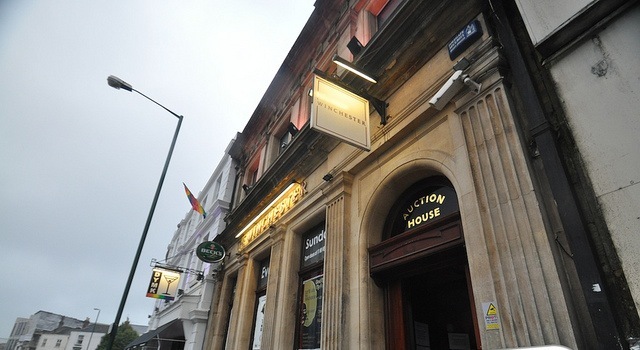 “There’s been high incidents of addiction”, said Councillor Jane Kelly, representative for Boscombe West, and a “lack of a mix of accommodation”, alluding to the prevalence of multiple house occupancies. Yet sitting in Chaplin’s Wine Bar on Christchurch Road, the stigmas associated with Boscombe couldn’t feel further from the truth. The bar defines the word edgy, shaking off those stereotypical English drinking characteristics you might find at the local Yates’s. There are no red-faced men looking for a fight here, and no scantily clad girls; it’s the swinging sixties instead, and the who’s who of Bournemouth gather around tables with glasses of Mai-Tai and Margarita. “It’s such a cool place” said Georgie Trill, a Chaplin’s regular, “the bar is so individual and quirky”, she added. Despite concerns, though, Boscombe is beginning to offer more to local residents. “It’s never going to be Mayfair”, laughed Jane Kelly, “but I see a thriving economy, a different mix of residents, arts and culture, and lots of small businesses.” And this sounds about right; Boscombe is finding its feet as Bournemouth’s cooler suburb, and one that the town may soon be proud of.